Christian Barnes, a lecturer in the UNCW School of Health and Applied Human Sciences, is fascinated with human physiology. 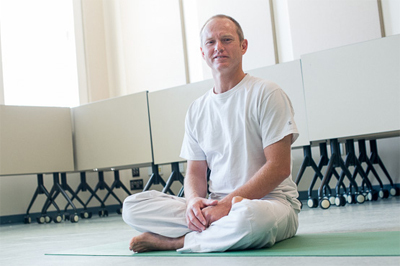 His interest in learning more about the human body is reflected in his classes, where theoretical and practical aspects of exercise, fitness and wellness are applied within real-world settings. 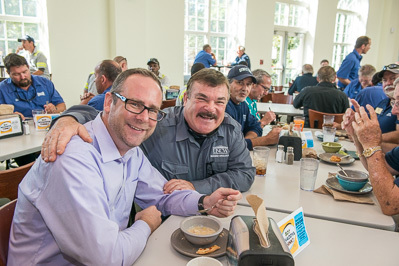 Housing and Residence Life staff members Peter Groenendyk and Al Bright are pictured at a luncheon held in appreciation for university employees who worked during during Hurricane Matthew. See more photos.